Jimmie Faralli immigrated from Germany to the United States in 1971 when he was 10 years old. 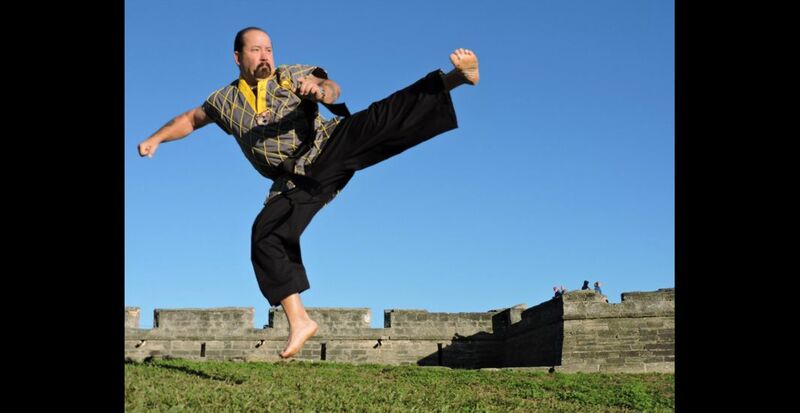 A few months later, in March of 1971, he began training in Tae Kwon Do and Hapkido under Grandmaster Jimmie Brown and Assistant Instructor Wilton Bennett. In 1972, Sgt Jimm McMurray joined the school. In 1974, Lascellas McCarthy returned to the school from Thailand. Together, they formed a formidable team of instructors. In September, 1976, Jimmie Faralli received his first degree Black Belt, completing requirements in both Tae Kwon Do and Hapkido. He then began teaching both arts. In 1978, Jimmie Faralli entered the U.S. Army. In 1979, he won the superlightweight division of the U.S. TKD championship, a title he successfully defended in 1980. In 1982, he was injured in a classified operation in the Middle East. His injuries resulted in a 17 month hospital stay and a medical discharge in 1983. In 1984, Grandmaster Brown tested Jimmie Faralli for the rank of 4th degree Black Belt. Although Jimmie Faralli has great respect for the other renowned martial artists he has trained with including Bill Wallace, Hee Il Cho, Bong Soo Han, He Young Kimm Michael Echanis and others, his one and only instructor was his father, Grandmaster Jimmie Brown. After having emigrated to the U.S. without ever having known his biological father, it was his great fortune to have that role filled by Grandmaster Jimmie Brown. In 1993, Grandmaster Brown and Grandmaster Faralli founded the American Hapkido Alliance, a non-profit Black Belt organization whose sole purpose was to further the development of Hapkido in the U.S. In 2007, Grandmaster Faralli, his wife SM Dr. Kathy Shaw and his son, Master Nikolai Lee were summoned to Grandmaster Brown’s deathbed, the day before his passing. GM Brown had selected Grandmaster Faralli to be promoted to 8th degree Black Belt and be the Grandmaster of the organization. In 2016, Grandmaster Jimmie Faralli was humbled by Grandmaster Rudy Timmerman and Chief Master Thomas Gordon, asking him to accept the induction of Grandmaster Jimmie Brown into the Korean Martial Arts Masters Hall of Fame. Grandmaster Faralli is honored and humbled by the Black Belts and masters he has produced over the last 45 years. Some of those masters and students have been with him continuously for over 30 years. Those masters include SM Joe Arndt, SM Dr. Kathy Shaw, Master Pete Santiago, Master Bryan Wachob, and Master Nikolai Lee. Their dedication has been his greatest inspiration. New Bruce Lee Illustrated Artwork by Ed Parker, Jr.